It’s very annoying to find ticks on your dog’s body. 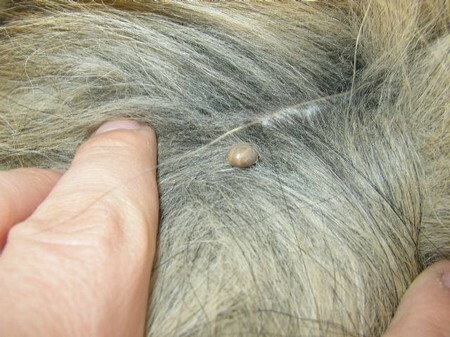 These irritating parasites, usually found on dogs are harmful for a dog’s health and also for the owners. In case you don’t know, mosquitoes and ticks are the major factors in transmission of certain diseases like Lyme disease. Because of these harms only, veterinarians and pet owners have been combating these small creatures for decades. Get a pair of tweezers or some other device used for removing ticks. Use the tool to clutch the body of a tick. Do this keeping the skin close to avoid leaving a part of the body of the tick behind on your dog’s body. Don’t do this with bare hands, because this can transmit to you some diseases. That’s why wearing gloves while doing this is also advised. You’ve to be both gentle and firm. While taking out the tick’s body from your dog, pull the tick’s body both gently and firmly. You’ve to be firm so as to remove any chances of leaving the head in the skin. You might see some part of skin coming with the skin, it’s just natural so nothing to worry about. Have a proper container to dispose the tick. The tick’s body should be immediately disposed after removal, particularly if it has not yet died. Otherwise, if dropped on the floor, it can come back to your dog. Clean and disinfect. Clean the bite area on the dog and then sanitize. When you’re done, immediately wash and sanitize both your hands and the tool, which you used remove the ticks. Removing the ticks as soon as they are spotted is the best way to ensure that these creatures don’t irritate your dog or you. By following the above mentioned tips, on proper removal of ticks, you’ll certainly be able to control them from spreading diseases.